Frequent readers of Origination News will know that we at La Trobe Financial are fundamentally optimistic about the future of Australia. We have written about our proximity (both in geography and in trade) to the world’s economic engine, in Asia. We have often applauded the combination of hard work and ingenuity that has helped us build a prosperous and stable nation on what some would argue is an isolated and – frequently – inhospitable continent. The issue of housing affordability is not just one for the individuals directly affected. 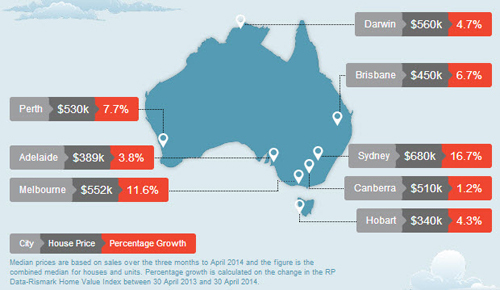 As we have often observed, for many Australians housing is the base on which they build their own personal wealth. Many businesses are founded on loans secured by the owner’s residence. 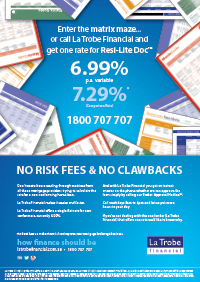 Indeed, La Trobe Financial is one such business, having been founded in 1952 by Ray O’Neill, via a loan secured by his family home. 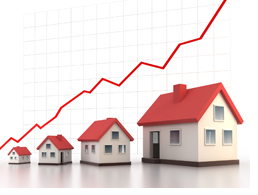 For this reason, housing affordability is an important driver of the economy generally and employment in particular. 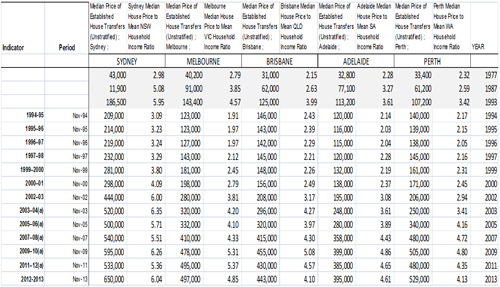 The table below shows how median house prices have become more expensive relative to household income since the mid 1990s across Australia’s largest five cities. For all of these reasons, more and more parents are reaching into their own resources to assist their children. In such cases it is critical that very careful thought be given to the best structure for this assistance. Perhaps the most common way to assist a child purchase a house is simply giving the child money towards their deposit. In some cases, parents even give outright to the child a property that has been previously purchased. However, this presents some significant risks. In particular, once the money or property is given, parents have no further legal entitlement to it should things go wrong. Family discord, the divorce of a child and estate disputes are common and parents might wish to provide protection to their child and to themselves in the event that such disputes arise. In addition, the provision of gifts may have taxation/social security implications that may jeopardise the parents’ entitlements. Some parents take the seemingly simple step of signing a guarantee for their child’s loan. This is something that very few professionals would recommend, because it exposes parents to significant liability in the event that the child defaults on the loan. Parents can buy a property in their own name and let their child live in it for reduced rent. In some cases, parents even purchase the property jointly with their child. However, this of course exposes the parents to the taxation (income and capital gains) and normal home ownership implications, as well as the estate planning consequences of having the asset in their own names. Increasingly, many parents are choosing the benefits of providing a loan directly to their child to assist with the purchase. This is often the best option for parents, as a loan is more transparent and will tend to give parents greater security against a claim by their children’s future or former partners in the event things go wrong. In addition, parents can establish their own terms when drawing up the loan agreement. 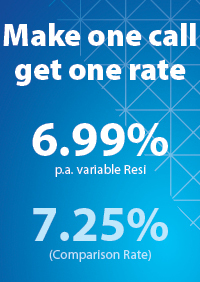 For example, parents may reserve the right to charge interest from when the child first borrowed the money. If the child’s relationship ends, the parents can invoke the loan and the loan must be repaid. This may require the house to be sold leaving very little to the former spouse’s claims. 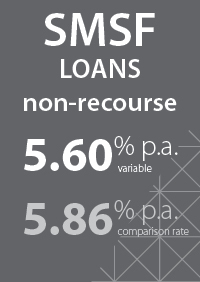 In any case, the traditional objection to the provision of a loan was ensuring it was properly documented and managed. 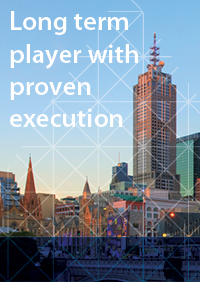 That is where La Trobe Financial’s innovative Parent to Child (P2C) product steps in. 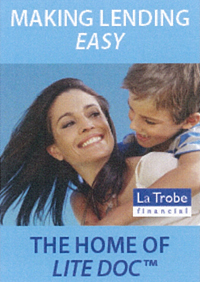 La Trobe Financial’s innovative P2C product is to our knowledge the best formalisation of the parent to child investment/loan relationship, formally documenting the arrangement, registering a mortgage on the security property, and then independently managing the loan to ensure it is repaid in accordance with the agreed terms. The P2C loan is designed to protect the parents’ “investment” without exposing their assets or credit file profile to any risks associated with their child running into difficulty with repayments. The parents however can still provide the much needed assistance for their children with interest rates as low as 3 percent per annum. 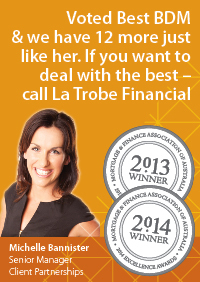 The loan program draws on La Trobe Financial’s existing structures. The child applies for a standard, first mortgage loan to, say, 80% of the value of the property with La Trobe Financial or another lender. The parent then provides the remaining funds (or a portion of them) to cover requirements such as the deposit, establishment fees, legal fees and so on. 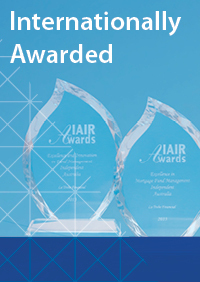 These funds are delivered through the La Trobe Australian Mortgage Fund. The parent is the investor and the child is the borrower. The child can thereby avoid the significant expense of Lenders’ Mortgage Insurance and the parent and child can agree on key terms such the interest rate payable. Whilst this product will not be the answer for all people and independent legal and financial advice should be considered, it is certainly a powerful tool to assist families address the challenges of housing affordability and intergenerational transfer of wealth.